This week I'll be taking part in a jointly run JETAADC-JASWDC Izakaya Pub Quiz event. The way I put our team together, we're lacking in the J-person department (just 3 white guys and 1 half-J guy), so I think we'll be at a disadvantage there. Normally wouldn't be a problem, but the questions are being billed as half English and half Japanese, and I'm not sure we're up to snuff on our Japanese pop culture. Still, we do possess some kernels of knowledge. Or beans of knowledge. Yes, that is the sorry lead-in to today's Japanese nubbin. The word is 豆知識 (まめちしき), which literally means "bean knowledge." ALC defines it as "bits of knowledge," so I imagine you're supposed to visualize little scattered knowledge beans. Rikai-kun also offers "trivia" as a possible definition. I know there are other (perhaps more ubiquitous) terms for "trivia," so I just did a cursory couple of searches. 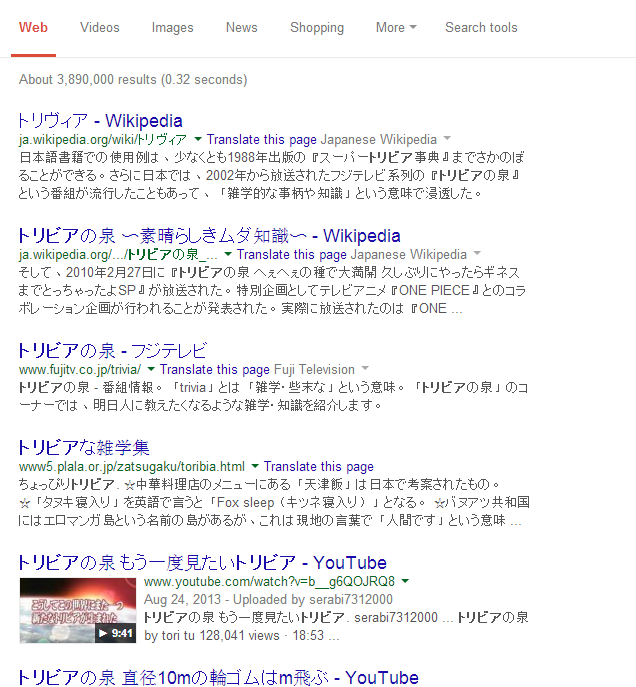 「トリビア」turns up almost 4 million results. 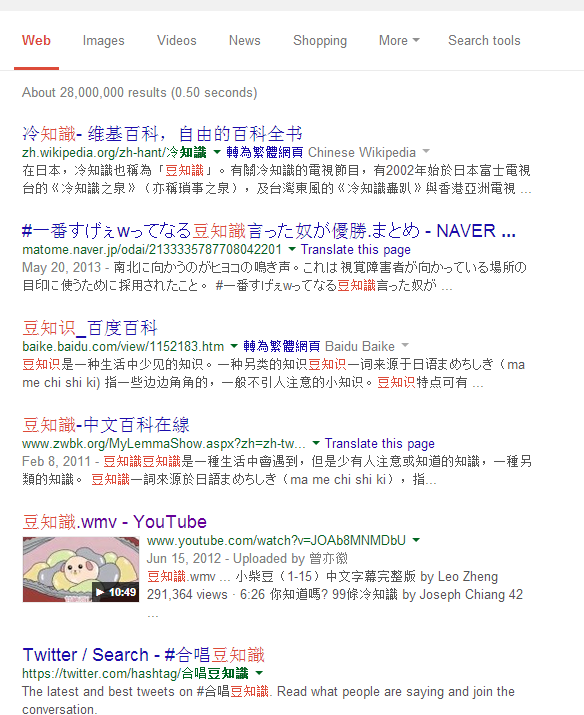 「豆知識」, meanwhile, comes up with 28 million. Judge for yourself.